Sometimes, I just don’t know what to make for dinner. Earlier this week, I was dealing with this dilemma. I had a jar of pasta sauce and some noodles but I wanted it to be a bit more interesting than just pasta sauce and noodles. All I did was add some chickpeas, purple kale, salt and pepper and topped with cheese. 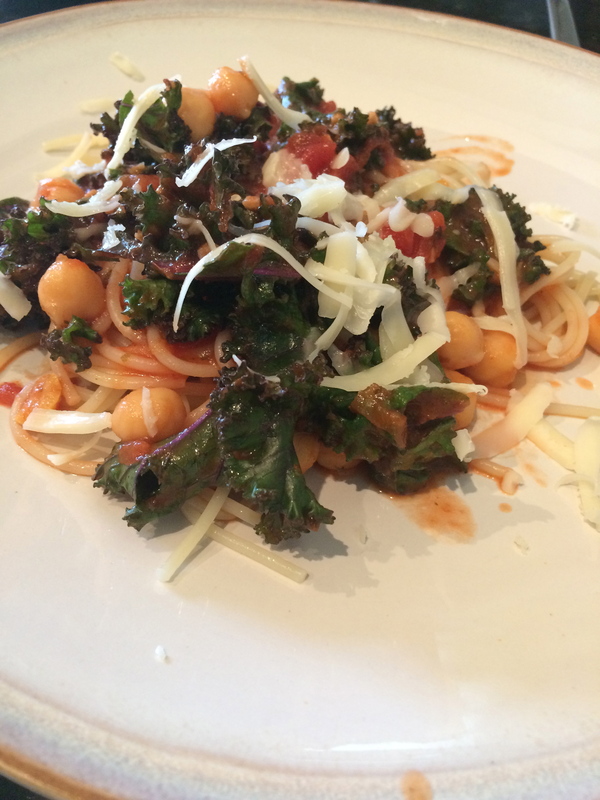 I used, organic roasted garlic pasta sauce, Eden Organic chickpeas, organic purple kale, and some organic pasta – usually I use spelt pasta. Adding a few simple ingredients to the pasta sauce made this quick weeknight dinner a bit more enjoyable and a bit more healthy.